Isopods, more commonly known as sowbugs, pillbugs or potato bugs, are a valuable but largely neglected food source for pet amphibians and reptiles. The over 10,000 described species are common in most habitats worldwide, and are therefore an important in the diets many creatures. Ranging in size from .02 to 20 inches, there is an isopod to fit every feeding need (public aquariums pay $600 or more each for giant, deep-sea forms, so don’t plan on feeding these to your monitor lizards!). Isopods are crustaceans, and as such provide a variety of nutrients not to be found in insects. Another thing I like about using them has to do with their appetites – they will eat anything, so by feeding them a rich and varied diet you are improving their value as food items for your pets. Furthermore, native sowbugs and pillbugs will live in most terrariums and are valuable scavengers, relishing dead earthworms, crickets and feces. I always include a group in naturalistic habitats that I design for zoos and museums. Finally, they are very interesting to observe in their own right. They do contain quite a bit of chitin, so are not suitable as the sole item in a diet. Temperate isopods prefer cool, moist environments, and so are most easily found in spring and fall. You can collect them below rocks and leaf litter. They will also flock to cover such as boards placed on the ground, especially if the area is kept moist and baited with coffee grounds or ripe fruit. Biological supply houses also sell starter cultures. Keep your colony in a vented plastic container with 3-4 inches of R-Zilla Coconut Husk as a substrate. Plastic terrariums by Lee, Tom Aquarium, Hagen and PLA House make ideal isopod homes. Be sure to keep the bedding moist but not wet. A covering of Zoo Med Terrarium Moss will help retain moisture and offer shelter to the isopods, making collection easier. A mix of R-Zilla Alfalfa Meal Bedding and Tetra Min Flake Fish Food is an excellent basic diet, to which can be added grass clippings, leaf litter, coffee grounds and almost any fruit or vegetable. A cool basement makes an ideal location for the colony, but average room temperatures are fine. Be sure to keep an eye on moisture levels during hot, dry periods. A breeding colony will supply huge numbers of isopods of all sizes. I have always kept an isopod colony for my collection, and have used them in zoos as well. They are easy to maintain, breed readily and are, I think, one of the best-kept secrets (no more!) in herptoculture. Very few insectivorous herps refuse them, and they are readily taken by many fishes and birds as well. Be sure to try a group in your naturalistic terrariums also, as they make fine scavengers and, unlike crickets, they will not attack debilitated pets. Click: The Monitor Lizards (Family Varanidae) – Family Overview and Species Accounts; – Some Interesting Monitors and Their Care – Part I, to read the first part of this article. The popularity of this most aquatic of the world’s monitor lizards is soaring, and with good reason – it is active, hardy, of manageable size (averages 3 feet in length, occasionally to 4) and very responsive to its surroundings. Native to northern and western Australia (Northern Territory, Queensland, South Australia and off-shore islands), Merten’s water monitors frequent creeks, rivers, canals, ponds and reservoirs. They bask on the shore or low overhanging branches, and rarely stray far from the water’s edge. Although common at present, this situation may change – water monitors readily consume introduced marine toads, and many are killed by the amphibians’ toxins. are deep brown to black in color, with dark-edged cream or yellow spots. The tail is laterally compressed and the nostrils, which can be sealed during dives, are located high on the snout. Water monitors require a spacious cage (at least 4’x4’x 3′), a UVB source and a large (preferably drainable) pool. They must be able to bask at 90-95 F and to dry off completely upon leaving the water. The natural diet consists largely of crabs, crayfish and fish, but frogs, tadpoles, turtle and other reptile eggs, shrimp, snails, nestling birds, planigales and other small mammals, large insects and carrion are also taken. They have been observed foraging in dumps, with discarded sausages apparently being a favored food! Water monitors use their tails to concentrate small fishes when hunting in the shallows. Captives should not be fed a rodent-based diet, but rather one weighed heavily in favor of whole, fresh-water fish, whole, unshelled prawn, crayfish, roaches, crickets, earthworms, and canned insects/monitor diets . Pink mice are preferable to furred rodents, and should be offered only once each week or two. This species seems to have a quite high metabolism, and does best when fed small meals every 3-4 days. This strikingly colored lizard only appeared in zoos in the late 1990’s, and was not named as a distinct species until 2001. Never-the-less, beauty and small size (to 40 inches) has propelled it to the top of the “most desired species lists” of many monitor fanciers. These slender monitors are jet black in color and variably patterned with blue spots and bands. The prehensile tail comprises 2/3 of the animal’s length. Blue tree monitors are found only on Batanta Island, Indonesia (off Irian Jaya, New Guinea). Almost entirely arboreal, they inhabit trees and shrubs within rainforests and estuarine swamps. Their wild status is unknown, but the species is listed on CITES Appendix II due to the extremely limited natural range. Blue tree monitors require a spacious cage with provisions for climbing, UVB light and a basking spot of 90-95 F. The several pairs I’ve kept have co-existed without incident, and frequently rested in close contact with one another. Quite shy and quick to take flight, they do best in a well-planted cage provided with numerous hideaways and located in a quiet area. This is a species to observe, not handle. The natural diet is likely composed largely of invertebrates such as tree crickets, katydids, snails, caterpillars and spiders, along with occasional treefrogs, lizards, small birds and their eggs, nestling mice and other small mammals. As with other small monitors, I prefer not to feed too many rodents to this species. 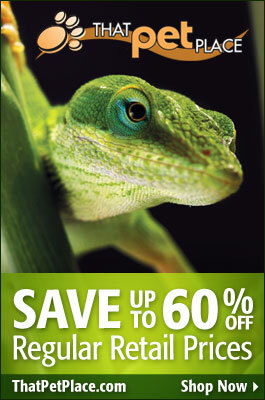 Mine thrive upon waxworms, crickets, crayfish, super mealworms, roaches, chicks and quail eggs. Pink mice are given every two weeks or so. Canned insects and monitor diets are often accepted and should be included as a source of dietary variety. Females lay 2-6 eggs at a time, and may produce up to 6 clutches per year (this may be a function of food availability in captivity). The young average 5 inches in length and hatch after an incubation period of 200-225 days. Captive females will bury eggs within moist substrates on the ground but seem to prefer arboreal nest boxes. The long, slender tail of this monitor is prehensile and adds to its climbing abilities and agility. Alert and quick moving, blue tree monitors can catch even the swiftest of prey in their treetop homes. One individual that escaped from an exhibit at the Bronx Zoo was in the process of swallowing a house sparrow when I recovered him from atop a vine-covered fence! for information on the natural history of monitor lizards. This is the smallest monitor regularly available in the pet trade. Also nearly the tiniest member of the family Varanidae, this species has much to recommend it as a “first monitor”. Reaching just 14 inches in length, Storr’s monitor is one of the only monitors that can be housed within an aquarium-sized (see below) enclosure when adult. Storr’s monitors are immensely popular because they combine all of the typical monitor traits in a small package – indeed, they act exactly like tiny versions of their larger cousins. What they lack in size is more than made up for in attitude, and they are quite bold as captives. In fact, keeping more than one in a cage, even a mated pair, is difficult due to their aggressive natures. This plucky, brown little lizard hails from northeastern Australia. A subspecies, reddish in color but otherwise similar (V. s. ocreatus) ranges further west. In the eastern part of its range, Storr’s monitor is threatened by the introduced marine toad, which both preys upon and competes with it. Populations have all but disappeared from some areas already. Storr’s monitors are quite active and should be housed in a tightly secured aquarium of at least 30 – 55 gallons (“long models are best”). They require a source of UVB light and a basking site that reaches 90 F or so. Although they are often fed pink mice and small rodents in captivity, the natural diet of this species consists largely of insects. The bulk of their food in captivity should be roaches, crickets, waxworms, super mealworms, mealworm beetles and wild-caught insects. Canned insects, such as silkworms and grasshoppers, offer an excellent source of dietary variety. Many individuals also accept canned monitor diets. Captive breeding is possible, but pairs must be watched closely for aggression. The 2-5 eggs hatch in 100 days at 82F. At the other end of the spectrum from Storr’s monitor is southern New Guinea’s massive crocodile monitor – it approaches 9 feet in length (nearly as long as, but much lighter than, the Komodo dragon), and there are unverified reports of much longer individuals. The prehensile tail is twice as long as the snout-vent length. Crocodile monitors are black in color and boldly marked with yellow spots, and sport long claws and a bulbous snout (particularly so in mature males). Highly arboreal despite their size, crocodile monitors dwell in the canopies of lowland forests in the vicinity of rivers and mangrove swamps. Little is known of their status in the wild, but there is concern given the limited range; the species is listed on CITES Appendix II. In contrast to the other lizards described here, crocodile monitors are suitable only for very advanced hobbyists, or as zoo animals. Those I worked with learned to tolerate my presence, but remained wary and agressive even after many years. In contrast to the usual structure of monitor teeth, those of the crocodile monitor are serrated and over-lapping – possibly an adaptation to holding onto and carrying large prey high above the forest floor. These animals are formidable predators, and capable of inflicting potentially life-threatening wounds. Captive-bred animals are available and adjust moderately well (please see above) if given huge, high-topped enclosures that accommodate their arboreal lifestyles – forcing crocodile monitors to remain on the ground is, in my experience, quite stressful to them. A cage or room of 10’ x 10’ by 10’ would be required for a single adult. UVB light and a basking spot of 90-95 F are needed. A humid environment is preferred, but they must be able to dry off as well. Wild crocodile monitors feed upon cuscus, young tree kangaroos, naked-tailed rats, bandicoots, bats and other mammals, birds and their eggs, frogs, snakes, lizards and carrion. Captives do well on rats, mice, chicks, crayfish, large roaches and hard-boiled eggs. Check back on Friday for more Monitor Species Profiles. Taiwan beauty snakes are quite active and require a larger cage than other similarly-sized snakes – they do not do well when cramped. A cage with sufficient height for climbing is a must – both for your pleasure in observing the animal, and for the snake’s well-being. A cage with the dimensions 3’(l) x 3’(w) x 5’(h) would be the minimum required by a 5 foot long individual. The cage should be well perched with stout branches. Taiwan beauty snakes will also utilize vines, moving about them with a speed that leaves little doubt as to their abilities to capture squirrels, birds and other elusive prey. Hagen Bendable Vines interspersed among the branches will allow your pet to show off its natural behaviors to their best effect. Taiwan beauty snake prefer an arboreal hideaway, and will readily take advantage of a forked branch hidden behind a screen of plants (Hagen Large Hanging Terrarium Plants are ideal). Particularly shy individuals will appreciate a piece of rolled cork bark wedged among the branches. This species does not require a source of UVB light, but there is increasing evidence that UVA light is important in stimulating natural behavior and possibly in maintaining over-all good health. I suggest equipping your snake’s terrarium with a Coralife Reptile Bright Spotlight, which will supply both heat and UVA radiation. A temperature of 80 F at the basking site will suffice – Taiwan beauty snakes do not seem to seek out the higher temperatures favored by some other tropical species. The ambient air temperature should fall 74 and 78 F.
Members of this genus favor slightly humid environments, but will suffer fungal and other skin disorders if not able to dry out as well. A light misting once or twice each day should suffice. One Taiwan beauty snake that I kept invariably came to drink from the hose each morning when I misted her cage, but most will prefer a water bowl. The bowl should be large enough for soaking, as this species is prone to shedding difficulties if kept too dry. Be sure to spray the cage a bit more frequently at shedding time as well. For arboreal snakes favoring humid environments, I use a substrate that holds moisture for awhile, but which dries out completely within a few hours after being misted. A mix of Keeper’s Choice Hardwood Bedding and Hagen Forest Bark Reptile Bedding works very well in this regard. Many arboreal snakes, such as the red-tailed ratsnake (Gonyosoma oxycephala), show a strong preference for feeding on birds, but I have not seen this with Taiwan beauty snakes. They do fine on a diet composed of mice and small rats. Captives have lived in excess of 15 years. Some individuals do adjust well to gentle handling, but in general this species is far better suited as an exhibit animal. Even well-habituated animals must be handled frequently, and starting from a young age, if they are to remain tractable. Taiwan beauty snakes do not take well to being grabbed and restrained, which complicate removal from the complex, branch-filled environments that suit them best. Their high activity levels suit them well as subjects of observation, and in a large, naturalistic terrarium these snakes will provide you with fascinating glimpses into their lives. They appear much more alert than many species, and will investigate unusual movements around their cage. You can capitalize on this propensity by “scenting” their cage with novel odors – i.e. a snake or lizard shed, an egg – so that you can observe their reactions (in zoo circles, this is long-known practice is now termed “enrichment” and is currently very much in vogue). Taiwan beauty snakes may breed spontaneously, but consistent results have been obtained following a brumation (cooling-off) period of 3 months or so at 65-68 F. Most breeders chill their snakes between December and March, but this time period is likely not set in stone. Mating usually occurs within a month after the snakes are returned to optimal temperatures, with 6-10 eggs being deposited 40-60 days thereafter. The eggs hatch in 55-62 days when incubated at 80-84 F and 95% humidity. The hatchlings average 12-16 inches long, and shed within their first 2 weeks. In contrast to many arboreal species, they do not prefer or need lizards or treefrogs, and will accept pink mice readily. Captives (this may vary in the wild) reach sexual maturity at approximately 18 months of age and 4.5 – 5 feet in length. I’ve never quite understood why the aptly named Taiwan beauty snake did not soar in popularity as soon as it entered the pet trade. I was captivated by them from the moment I began looking after a group at the Bronx Zoo some 15 years ago, and added the species to the Staten Island Zoo’s collection when working on the reptile house renovation there. Today, these arboreal constrictors are beginning to receive some attention from hobbyists, and captive born young are frequently available. Taiwan beauty snakes are placed within the family Colubridae, and until recently were classified in the genus Elaphe, along with the corn, black rat and similar North American snakes that they superficially resemble. Eight to nine subspecies have been identified, but interbreeding where their ranges overlap complicates taxonomy. The group is often loosely referred to as the Asian ratsnakes. The background color of these gorgeous snakes is yellowish tan/brown to olive, and a pair of joined black spots and smaller blotches mark the back. Along the last third of the body the color pattern abruptly changes – from here the snake is boldly marked with a band of yellow and 2 black stripes. Smaller blotches cross these, and a black stripe extends from the eye to the mouth’s corner. The ventral surface is creamy-white speckled with black. The tail is highly prehensile, allowing for long strikes at fast-moving, arboreal prey. This largest member of its genus averages 5-6 feet long, but occasionally approaches 9 feet in length. This subspecies is native to the island of Taiwan, but is possibly introduced to mainland China. Related subspecies range throughout much of India, China, Southeast Asia and Japan’s Ryukyu Islands. This snake and its relatives, most of which are quite colorful, are sometimes kept in rural homes and barns for their rodent-catching abilities. This has resulted in range expansions for a number of beauty snake subspecies. As individuals are highly variable in appearance, and the subspecies readily interbreed, the taxonomy of the genus is unclear. Taiwan beauty snakes are quite adaptable, being found in forests, open woodlands, overgrown fields, swamps and suburban areas. If unmolested they will take up residence in barns, rural homes and agricultural fields. All beauty snakes are highly arboreal but will descend to the ground to hunt. The wild status is largely unstudied, but it is known that the Taiwan beauty snake is hunted for the food, skin, pet and medicinal trade. However, it adapts well and may even benefit from some human presence, frequenting farms, trash dumps and abandoned buildings in search of rodents. Some range expansion has likely occurred via people who transport this snake (and related subspecies) from place to place as a rodent control measure. Squirrels, rats, mice, bats and other small mammals, birds and their eggs; hatchlings feed largely upon treefrogs and lizards. Prey is overcome by constriction. The 6-10 eggs are laid in May-June, but other than that reproduction in the wild is not well documented. Please see below for captive breeding information. The Taiwan beauty snake’s threat display is very impressive – it compresses and inflates the first third of its body and rears up in an “S” shaped coil while facing the enemy and striking repeatedly. Please check back Monday for information on the captive husbandry requirements of Beauty Snakes.